increase traffic and improve user experience. We assure you 100% money back guarantee. If you not satisfied with our Services or we were not able to work according our promise to meet your expectations. We will refund you your paid Money Back. Is it really unlimited site jobs? Limits to the tasks WordPress Developer will do ? I want to start away. When will you solve problem ? What happens if an update breaks my site ? Can you help me if I need a backup of my site ? What is included in the Performance Optimization? Absolutely. We will handle almost any task, up to 30 minutes. You can explore everything we can do for you in our list of services. We do ask that you submit one task at a time so we can complete it as quickly as possible. We only do small fixes and jobs. This means 30 minute tasks. We support a reasonable number of tasks per client and we will let you know if you’re stretching the friendship. If you’d like to know if your specific task can be done, you can contact us. Great! Once you sign up and provide your WordPress login credentials, it will take us around 1-2 hours to create your account. And you can begin submitting tasks. Our goal is to start working on solving your problem as soon as possible. When we update WordPress and plugins, our team also monitors your site to make sure the site does not crash. If we do find an update breaks the site, we will attempt to fix it. If we are unable to fix it (when a plugin is no longer supported with a newer WordPress version), we will restore your site to a previous version and contact you to find the best way to move around this issue, such as contacting the plugin developer or finding an alternative plugin. Yes, we do frequent backups of your site. You can always count on us to provide you with a backup or restore an earlier version of your site. A website that loads quickly is important for your users and search engines such as Google also include website speed as a factor in how they rank your website. A fast site is especially important for your mobile users, a growing audience. Install and configure a caching plugin. Remove unnecessary plugins and themes. Monitor website speed and make recommendations for improvement. Fix performance red flag issues that come up on an ongoing basis. We will be complete your request usually within 12 hours, Monday to Saturday during working hours. If by any chance the task is urgent, we will be go beyond that and work on it over the weekend as well. My website is hacked! If I sign up to a plan will you fix it? Do you offer bulk discounts for more than one site? How does the staging/development environment work? Yes, we offer free website restores and malware clean ups for our maintenance plan clients and we extend this offer to new sign ups. The only catch is that a minimum six month subscription is required to qualify for the free cleanup. Each WordPress Maintenance Plan covers one WordPress website. We do offer bulk discounts for more than one site. The staging / development site is normally used in two cases. 1. For any new web development that would cause a negative effect to the user experience we’d do that work in the dev site, once approved we’d push those changes over to the live site. 2. If there was a problem with an update that was causing issues to the user experience (that we couldnt fix in less than a few minutes), we’d immediately roll the site back to the latest stable version so that the live site was fully functional again. Then we would do the testing and fixing of whatever the issue was on the staging environment. In this way, the amount of potential downtime is minimal (less than five minutes in most cases). Some clients with high priority / high traffic sites ask us to do the updates on the staging server first, test a set number of pages/sections and then do the updates once tested and proven stable. This is a custom feature and we can provide a quote at your request. You can sign up for our recurring services via PayPal. If you’d like to cancel your account you can contact us. We will cancel your account and refund the unused portion of that month’s payment. If you need any further assistance you can chose one of the ways to contact us. Every WordPress website has the same set of basic needs. We have grouped these needs into six essential services and included them in all our plans. Excellent customer service never goes out of style! 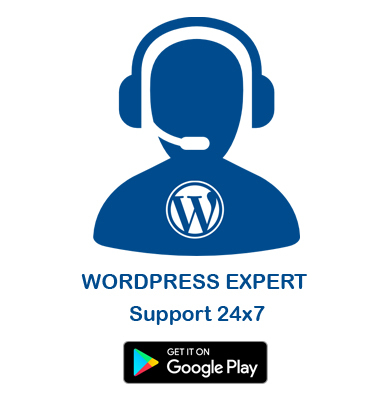 We take pride in providing the best WordPress support in the industry. Keeping your website running smoothly and looking great amidst a world of software, device or browser available updates. Rock solid, cloud-based back ups of your entire WordPress website is the cornerstone of disaster recovery and peace of mind. Keeping your software up to date is the most powerful way to secure your site and stay on the cutting edge of new technology. Be the first to know when your website is offline and take comfort in knowing you have a team of experts to get you back online fast.